· Patrons may tell their server or bartender, “I’ll Have Another” and receive a second drink on the house – buy one, get one! 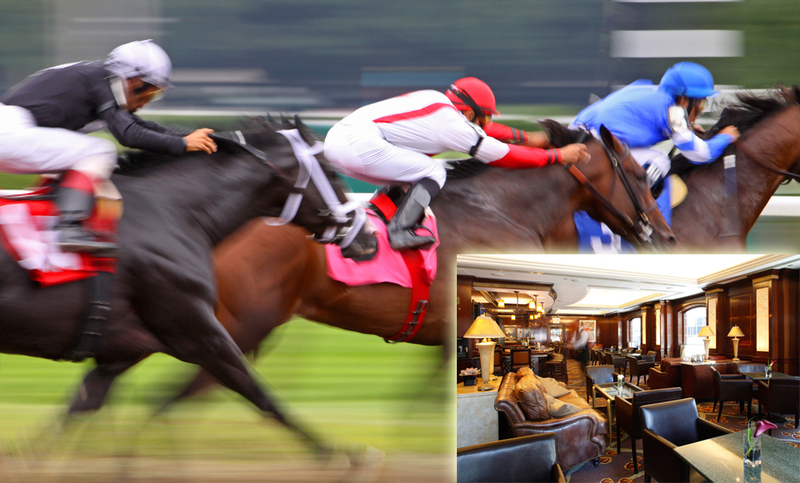 · Belmont Breeze, the official drink of the Belmont Stakes, at a special celebratory price of just $10. The first 20 patrons to purchase a Belmont Breeze will receive an official commemorative glass as a souvenir. 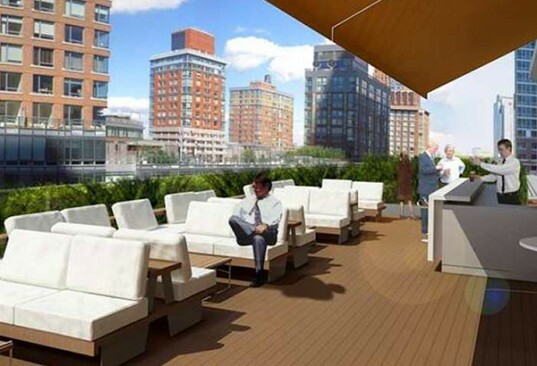 NYC Brings Another Re-Vamped Property to the Mix. Roger That. We adore JRK Properties (they have the lovely Oceana in Santa Monica and one in Santa Barbara too). They hosted us awhile back and they were wonderful hosts. 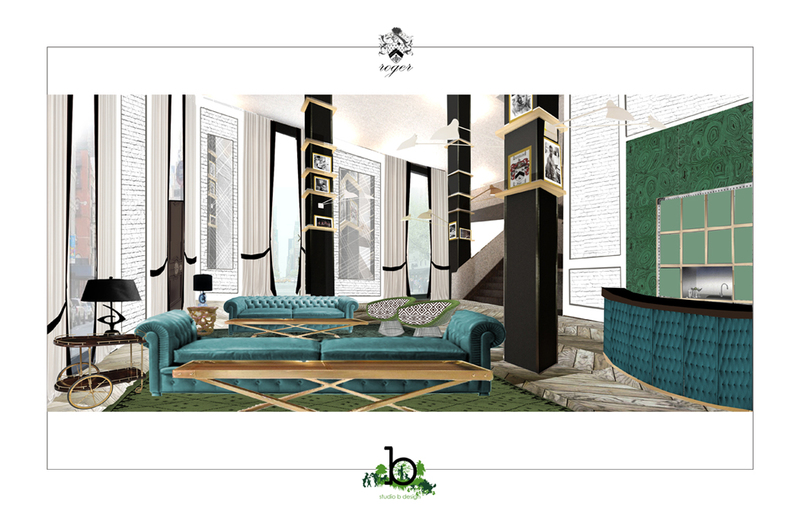 So, for those who like a good host and good NYC hotel, this June, they’re unveiling ‘Roger‘, a refreshed brand identity, with a fully updated food and beverage concept, as well as newly designed rooms and public spaces. In addition to the hotel’s convenient location in Murray Hill (my neck of the woods too! 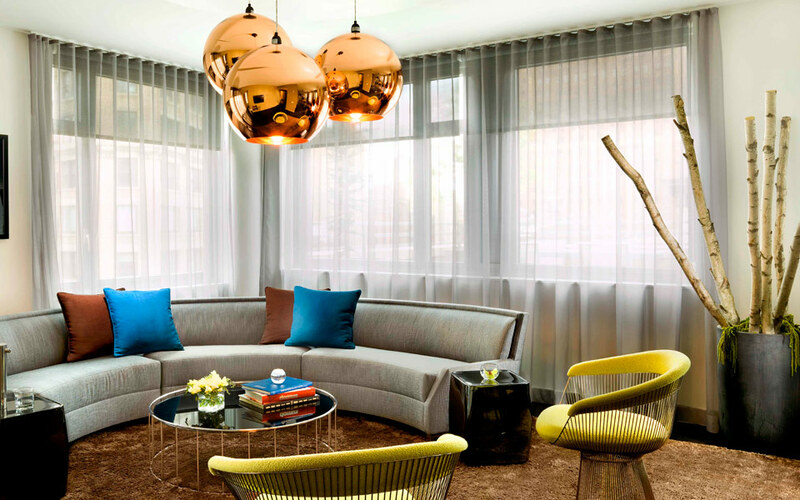 ), President of JRK Hotel Group, John Flannigan, assembled New York’s sharpest hospitality minds including industry veterans Steven Kamali and notable designers Anna Busta and Annette Jaffe so it shouldn’t disappoint. Working to rejuvenate the classic brand, the concept of the property is all about passing down from father to son. Inheriting the reigns to the hotel, the Roger’s son offers a modern freshness that seamlessly balances the historical nature of the property while providing a relaxed chic new perspective. Look at that chic room! The cavernous lobby is warmed with a rich palette of jewel tones across plush seating vignettes (yes, we love the word vignettes), repurposed brick (gotta love dem bricks), vintage photography, antique chandeliers, modern deco accents, and a luxe-rounded bar as the centerpiece. For the room, Jaffe’s custom pieces are used in each of the 194 unique rooms to flawlessly complement their surroundings. 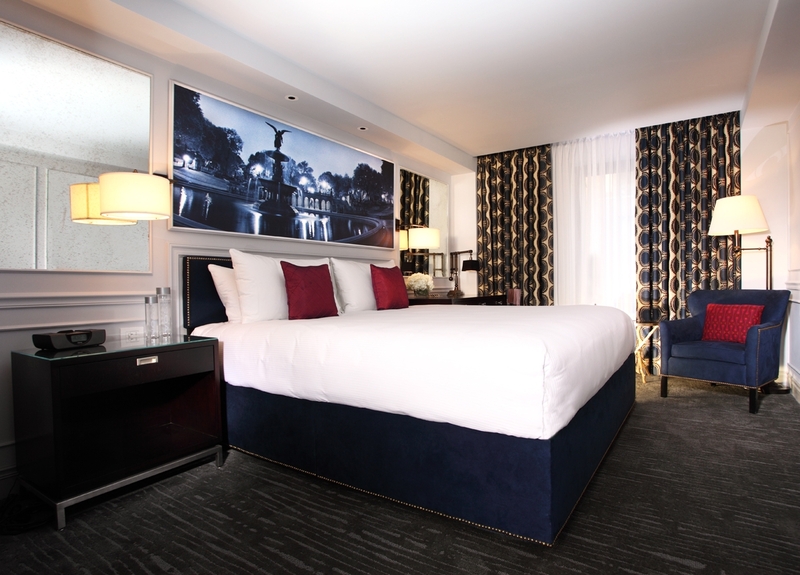 The Roger experience is enhanced with a plethora of updated amenities, making each room a reinvention of the pied-à-terre. A rich palette of deep navy runs throughout the room from elegant, lush suede headboards, geometric curtains, and welcoming armchairs. Wait, let’s go back to how much we love to say: pied-à-terre. It’s like we’re suddenly French when we say: “pied-à-terre.” Or, at the very least, the Countess LuAnn from Real Housewives of New York City. We all know that Lower Manhattan aka. Downtown has something for everyone: cool architecture, rich history, a range of shopping from discount to high-end, and great food so, for those seeking to explore, we wanted to fill our awesome readers in on some Thompson Hotel properties that caught our eye: Smyth TriBeCa, Gild Hall, and Thompson Lower East Side. Things we like? Thompson’s LES haute minimalism, the Andy Warhol filmstrip pool, Smyth’s Yabu Pushelberg sleek design (think warm walnut paneling and crisp sleek glass), and Gild Hall’s classic English-inspired den compliments of Jim Walrod. 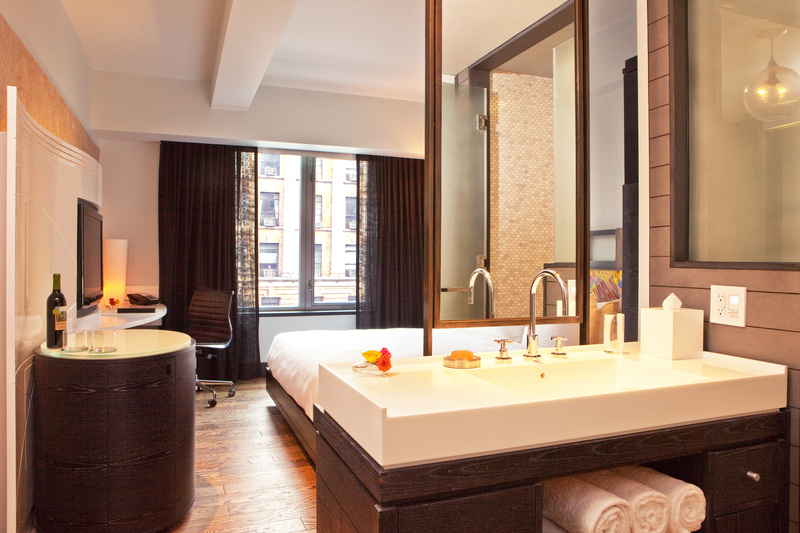 I’d love to move into Gild for a nice long relaxing weekend. It almost feels like a hunting lodge in the middle of the city. All of their rates are competitive too (hey, it’s still NYC so you’re looking at at least $260 +), but the design and selection of art is so topnotch, any spend is worth it. Plus, they do a good job of showing you all that lower Manhattan has to offer. Smyth TriBeCa is your sophisticated chic downtown property while Gild Hall is your modern-day club fit for the kings and queens of Wall Street. 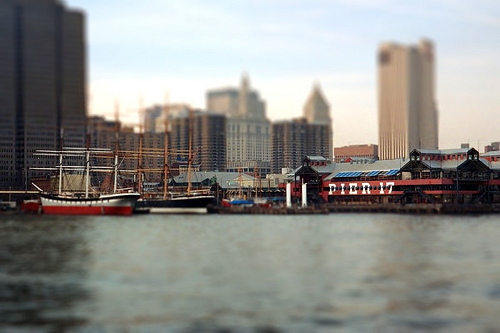 Both aren’t far from some Lower Manhattan sights like City Hall, New York Stock Exchange, South Street Seaport, 9/11 Memorial, Battery Park, The New York City Police Museum, Staten Island Ferry (go ahead and see Mob Wives up close and personal. We dare you! ), Statue of Liberty, Skyscraper Museum, World Financial Center, Stone Street (for suits and brews), and Cipriani Wall Street. Smyth TriBeCa does a great job of celebrating TriBeCa’s dynamic lifestyle by combining sleek and modern design with rich, vintage accents to create that bespoke experience. You can lounge, eat and drink in the chic and spacious lobby designed by Yabu Pushelburg and you don’t have to wander far to eat at Plein Sud, Fredrick Lesort’s downtown French brasserie located in Smyth TriBeCa. The restaurant features an array of dishes influenced by the diverse gastronomic heritage of France with a nod to its southern regions. 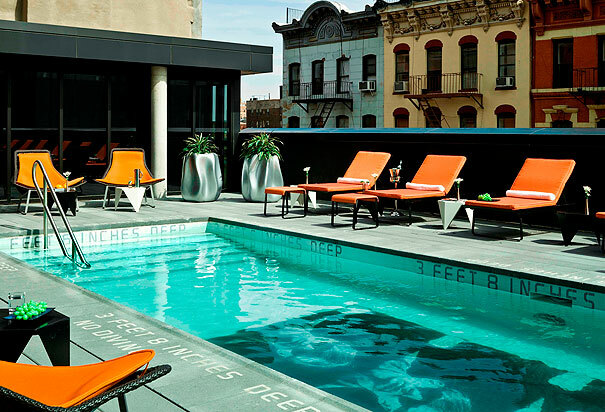 In January 2012, Smyth TriBeCa was also named the year’s trendiest hotel in America by TripAdvisor. And hey, sometimes you want to hang with the trendsetters, nay? Gild Hall, located on historic Gold Street, also brings a new level of luxury to Manhattan’s illustrious Financial District. 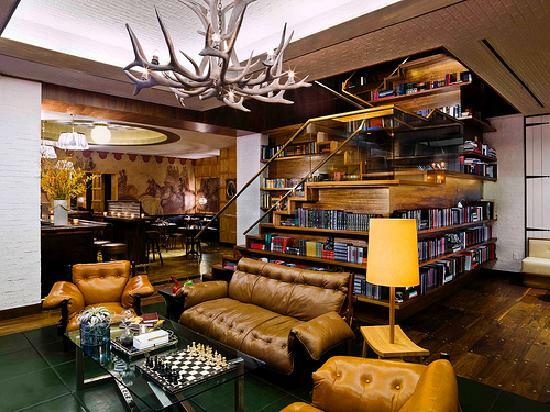 The hotel features a bi-level library lounge and bar, a modern English tavern THE LIBERTINE, and 126 luxe, cosmopolitan rooms. Effortlessly blending classical European sensibility with American contemporary style, it does it’s street name justice. Classic, refined, and cozy… bankers and ballers – you’ll fit right in. Did you know that on March 19th, The Conrad New York opened it’s doors? Our friend, Mark Ricci, just informed us that, located in the heart of lower Manhattan’s Battery Park City (102 North End Avenue) and rising 16 stories along the Hudson River waterfront, this almost 500 room all-suite luxury hotel is also the very first New York address from Conrad Hotels & Resorts (global luxury brand of Hilton Worldwide). 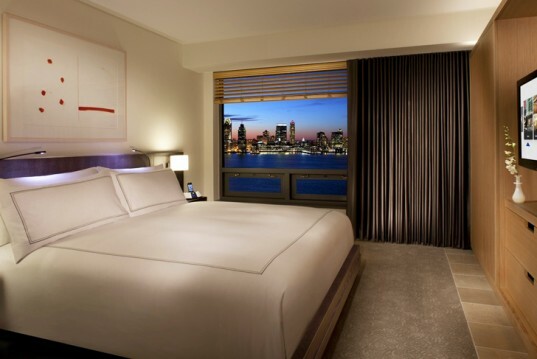 We have to say, with magnificent views of the Hudson River, this exceptional hotel is adjacent to Hudson River Park, and in close proximity to many of the city’s important and historic landmarks and prominent neighborhoods, including TriBeCa and SoHo. Rooms average over 450 square feet (that’s probably bigger than my apartment! ), each outfitted with integrated technology and flat-screen TVs, of course. The artist roster is also impressive. Sol LeWitt, Pat Steir, Elizabeth Peyton, Sara Sosnowy, Mary Heilmann and many more have lent their talent in mediums ranging from painting, lithography, silkscreen and aquatint to woodcut, intaglio, heliograph, etching and mixed media. All works have been documented in coffee table books through a partnership with the Public Art Fund and are available for perusal in suites and for purchase in the atrium gift shop. The hotel’s dramatic atrium is anchored by Loopy Doopy Blue and Purple 1999, an abstract work by conceptualist painter Sol LeWitt. It’s a work that The New York Times described as “invigorating eye-candy; the lines and shapes of color twist, dance, and battle playfully for dominance.” This is the most dramatic piece of artwork at the hotel, towering 13 stories high and custom designed for the space. A bit of fun around Loopy Doopy: It was painted by 50 peoples, required more than 100 gallons of paint, and took 3,000 hours to complete. That’s why I call artistic stamina. Surrounding the atrium is Yellow Flag and Mennige (Polygon) by Imi Knoebel, an internationally renowned German artist. It’s vivid burst of red cartwheeling across the wall blends minimalist austerity with high-spirited exuberance – suggesting a collection of rectangular forms in motion. The hotel also features a striking rooftop bar (affectionately called “Loopy Doopy” which pays tribute to the Sol LeWitt painting), and stellar views of New York Harbor, Statue of Liberty and lower Manhattan, as well as the Ken Smith-designed “green roof.” And, for corporate meeting and convention planners looking for a great corporate retreat that still in Manhattan, there’s 30,000 square feet of adaptable meeting space, including the 6,200 square-foot Gallery Ballroom. Danny Meyer’s Union Square Events will be the exclusive food and beverage partner of the hotel’s onsite conference and event facilities and… what else? 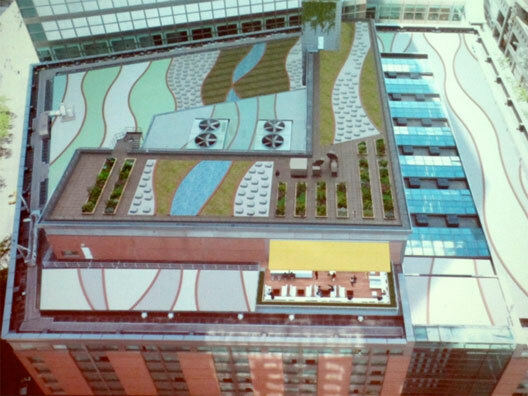 Oh yeah… Conrad New York is pursuing Leadership in Energy and Environmental Design (LEED) Gold certification. Duh. For grub? Conrad New York’s signature restaurant, Atrio, serves contemporary Mediterranean cuisine prepared in an open kitchen with a wood-stone oven. What’s not to like? Atrio has a full bar featuring wines from around the world and Executive Chef Anthony Zamora, who recently came from Four Seasons Hotel New York to inspire with dishes from his Italian and Lebanese roots using farm fresh ingredients. 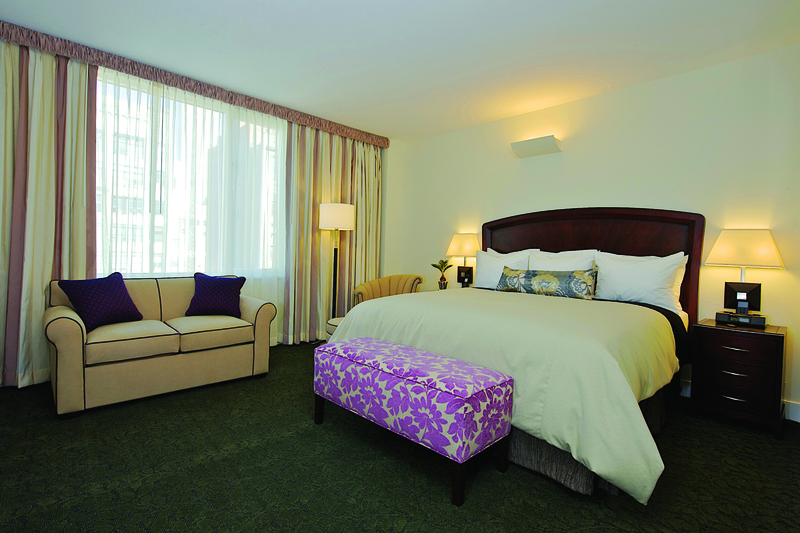 Live entertainment, deluxe king room with view of the Empire State Building, flowers upon arrival, valet parking, a four-course chef tasting menu for two prepared by Executive Chef and star of Food Network’s Chopped, Kelvin Fernandez, a bottle of champagne, party favors, and special Midnight toast. 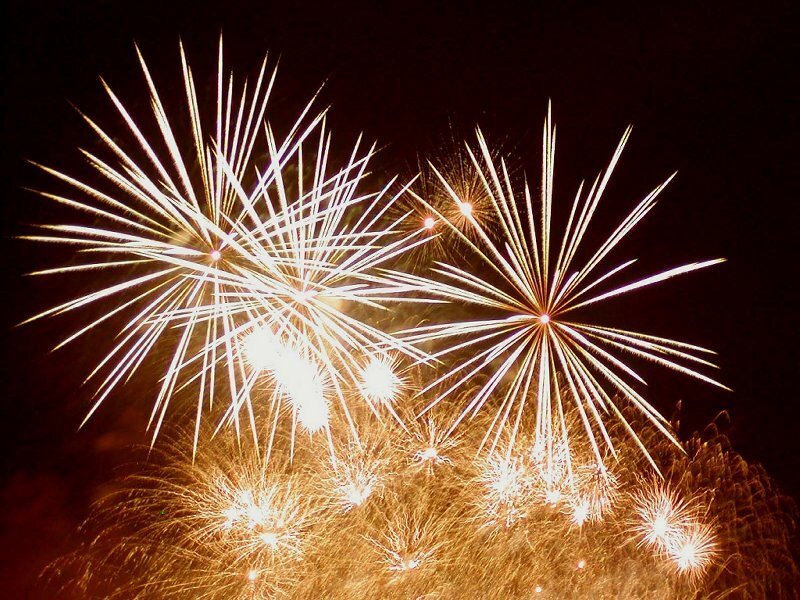 If priced separately, the package would total $950; a cost savings of nearly $200. Because, apparently, you’re worth such extravagance. As many New Yorkers already know, this year was the inaugural year of StndAir‘s seaplane flights to the Hamptons. Departing from Kips Bay’s Skyports Marina on Thursday and Friday afternoons with flights returning to the city on Sunday evening and Monday mornings, Andre Balazs, the brainchild of this luxe way to land in East Hampton (and head of the hip Standard Hotel), decided that seaplanes, rosé, and Swedish fish meant chic convenience. We agree, but we also sorta love the idea of the private helicopter ride to the Hamptons. 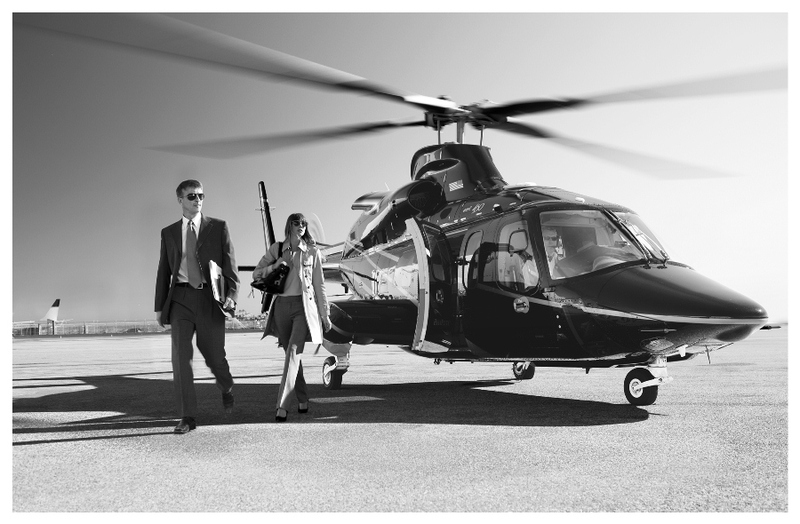 Enter: The Setai Fifth Avenue‘s Hamptons by Helicopter Package. 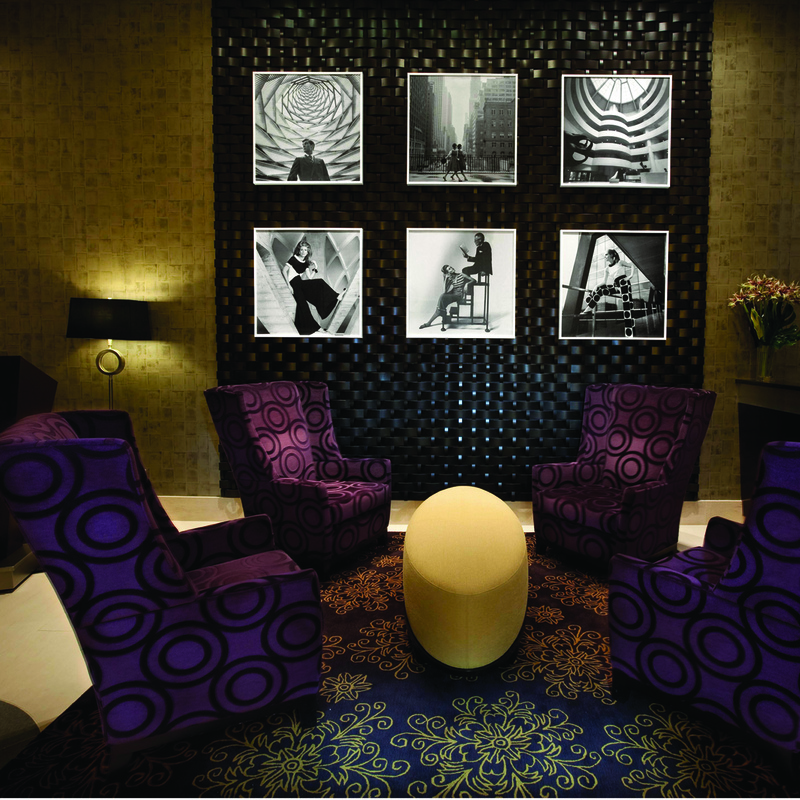 A two-night stay in a luxurious “Avenue Apartment” at The Setai Fifth Avenue . This one-bedroom suite features a separate kitchen, dining and living areas, a Duxiana king size bed, Pratesi lines, an oversized Zuma deep soaking tub, glass enclosed floor to ceiling rain shower, an Espresso maker, and a host of other amenities. On the morning after your first night’s stay, following a sumptuous in-room breakfast, guests will be whisked to a nearby helipad via the hotel’s Maserati for the 45-minute helicopter flight to East Hampton . This luxury helicopter from HeliFlite, is reserved exclusively for you. In East Hampton , a car and driver is at your service throughout the day. A gourmet picnic basket awaits from Race Lane restaurant, in order to enjoy a foray on the beach in style. Follow your beach outing with shopping in East Hampton , at Cynthia Rowley, Magaschoni, Gucci, Ralph Lauren or the off-beat Turpan, among many others. To complete the unforgettable day, an intimate table has been set for you at Race Lane in East Hampton, where guests will enjoy cocktails by the fire and a fabulous four-course dinner before heading back by helicopter to the bright lights of New York City and The Setai Fifth Avenue. So, if you’re going to do luxurious New York City in quintessential high rolling fashion, this might the best way for you to see the city in true luxury and style.